The confident, charismatic, and professional demeanor gives no indication that Lilisa Williams was a high school dropout, homeless and living on the streets, but she was. A definitive and powerful vision is responsible for Lilisa's life becoming an awe-inspiring, epic account of tragedy to triumph. Supported by her faith in God, a selfless spirit, and a vision to Release her inner Power and help others do the same she now is on Mission to help the Masses do the same! Williams has since earned an Associates in Arts in Bus/Public Administration a Bachelor of Arts in Political Science, a Master's in Business Administration. In 2005 she made another educational bold move and enrolled in the Capella University's PhD program. The astonishing revelation of Williams' success is triggering a media frenzy - and justifiably so. Coach Lilisa, a solopreneur, is the CEO/President of Performance Strategies Unlimited, INC since 2002. Upon getting her MBA she decided to start her own business in the field of training and coaching. The National Coach, Speaker, Author,Trainer is also a four-time author and the host of several radio and TV shows including her most popular show "All About Entrepreneurs Talk Show." Williams speaks primarily to women, churches, prisons, and organizations where she shares her powerful story of triumph. She lends more than encouraging words, she inspires all who she reaches. 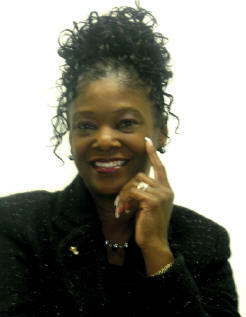 Lilisa J. Williams is available for interviews and speaking engagements.